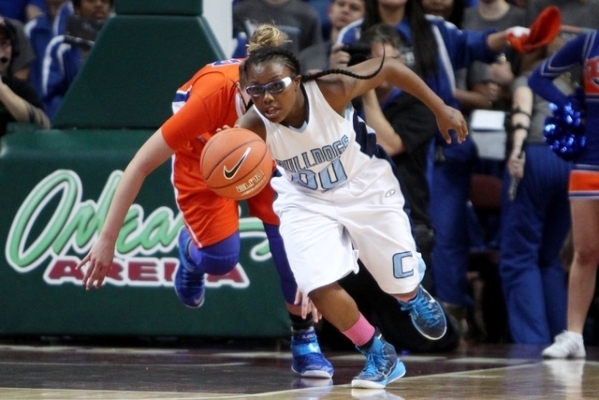 Centennial’s girls basketball team is ranked No. 4 in the nation in USA Today’s Super 25 preseason rankings, which were released on Wednesday. The Bulldogs return 10 letter winners from last year’s Division I state championship team, including four starters. Sophomore guard Justice Ethridge averaged 14 points, four rebounds and three steals last season, and junior guard Pam Wilmore is back after averaging 10 points, five rebounds, four assists and four steals. Centennial added transfers Sam Thomas and Bailey Thomas, who starred at Marian High in Blooomfield Hills, Mich. The Thomas sisters helped Marian to consecutive Class A state titles. Bailey Thomas has signed with West Virginia.